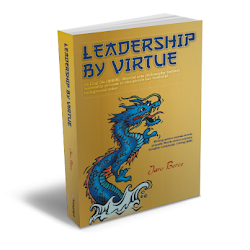 In my posts I describe my views from the book: on leadership, management, martial arts, West and East in different ways that can add to the personal growth of a leader through Wing Chun Philosophy. But the main purpose is to show, that there are other ways of thinking! In my posts Wing Chun basics 4 Leadership and Wing Chun in Leadership I have already explained about Wing Chun principles. They are very well connected with Chinese thoughts and philosophies. They are based on the Yin and Yang principle, meaning soft and hard or motion and stillness, attack and defense—they all come from each other. This may be the most important theory in China. It is well known fact that Karate originates from Okinava, Japan. It was developed under the influence of Chinese martial arts, particularly Fujian White Crane which is thought to be the origin of Wing Chun too. It was brought to Okinava in 14th century. Gichin Funakoshi, the founder of Shotokan Karate, is generally credited with having introduced and popularized Karate on the main islands of Japan in 20th century. At the time when the martial art named Karatejutsu (the art of ‘Tang/China dynasty hand’) was renamed, by homophone, into ‘way of the empty hand’ and ‘do’ (road, path, route, way) – Karatedo. As Funakoshi had trained two other popular branches of Okinawan Karate at the time, Shorin-ryu and Shorei-ryu, influenced by Kendo he assimilated some ideas with regard to distancing and timing into his Shotokan style. Karate is practiced through different ways. Kihon is typically performed in unison of a technique or a combination of techniques by a group. Kata (literally ‘China’ and also renamed into new meaning ‘shape’ or ‘model’) is a formalized sequence of movements which represent various offensive and defensive postures. Kumite (‘meeting of hands’) is a sparring technique. Philosophy behind Karate is based on “inwardly humble and outwardly gentle, a clear mind and conscience, listening and being receptive”, therefore indecisiveness is treated as a weakness in Karate. We can definitively see cultural impact and differences in both styles. Where Wing Chun uses ‘simultaneous attack and defense’ Karate uses ‘defense and attack’ (outwardly gentle). If Wing Chun ‘redirects’ the attack Karate withstands (being receptive) it. A ‘Central line’ is the most important goal of Wing Chun. 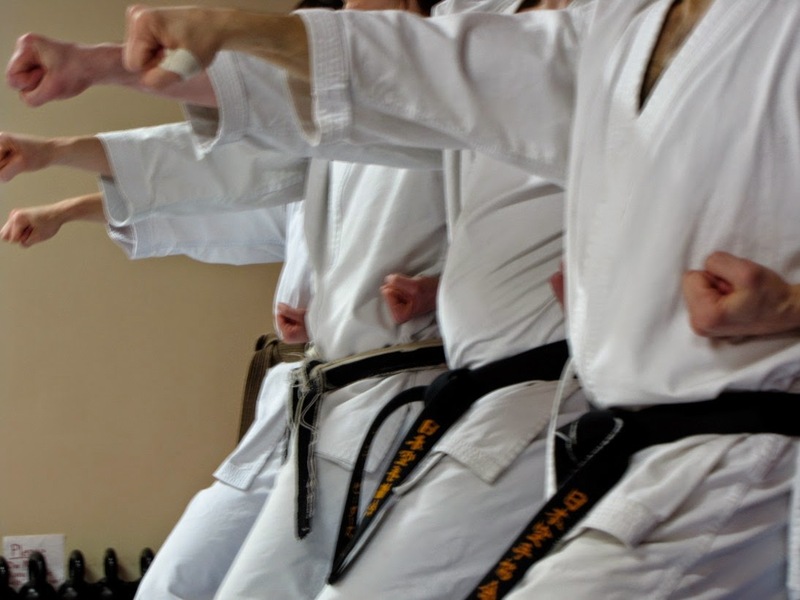 In Karate a lot of space is used and movements are performed (high kicks - Yoko Geri Kekomi, Round Kick - Mawashi Geri, Hook Kick - Ura Mawashi Geri) in spatial long distances. Palm strikes are different too. Wing Chun protects fingers, uses a lot of grabs and short distance techniques whereas Karate has ‘knife hand’, ‘ridge hand’, ‘spear hand’, ‘extended knuckle’ and other techniques. There is also a ranking system in Karate that is not known in Wing Chun. Basically, these are two different ways that at the top knowledge level of any good martial artists more or less become the same. This is due to our body constructions that define the same principles and techniques of stability, way of movements, economy of movements in fighting and so on. Including leadership to the subject, I would make an assumption that there are (as I explained in Labeled leadership) different styles and naming but the basic idea of leading should be and is the same as with these two martial arts. Leadership and Martial Arts - Anything in Common? Hi Jaro, Congratulations! It is my privilege to introduce you as "Featured Author of the Week". You can visit my profile to go to my blog. All the best for your future Blogging Journey. Looking forward to more informative and quality posts from your blog. Sridhar, I am honoured and would like to thank you for this your "Featured Author of the Week". Will TW, G+ etc your blog! Be sure to check out Kosho Shorei Ryu Kempo, their view of the art and its Japanese history. Whether you believe their history or not their unique approach to the bunkai of the five pinans is worth watching. It becomes a beautiful blending of linear karate and circular aiki principles. Tom, thank you for pointing it out. my humble opinion is that on top level all blends if you are good. No mater of naming of the style. Only those that do not understand it are then "preaching" which style and why should be practiced. I absolutely love what you have done with integrating basic principles in with the fighting style. I enjoy reading about leadership and have been tired of the same old metaphors that most authors and speakers tend to use. This is very out of the box and I will definitely be sharing your ideas with my group of friends and colleagues. Matthew, thank you so much for your encouraging words and yes ("...have been tired of the same old metaphors...") that is why I show the other side of the coin as well. Dear Reader, thank you for stopping by to visit my blog. I would love to hear from you. Write a comment to my post or contact me on jaro.berceATgmail.com. 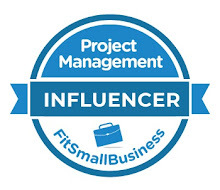 You can also visit my pages on Facebook or LinkedIN and I would be happy to connect with you. Click on the book image to buy it from Amazon.com! Think Like A Black Belt: The Blog! I hold an associate professor and a project management position within the Center of Social Informatics of the University of Ljubljana, Faculty for Social Sciences. At the beginning of my professional career I was focused mainly on research and development. Later on I co-founded, managed, and served on the board of directors. Why Martial art is the Key to Value based Leadership? © Jaro Berce. Powered by Blogger.